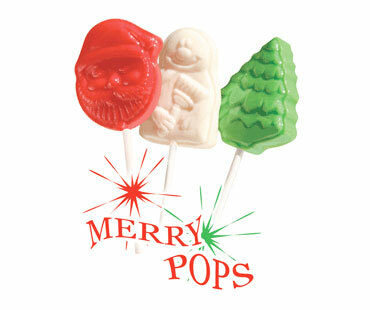 You will increase your lollipop sales during the holiday season with these great Christmas Lollipops. They are packaged in cases of 640 fundraising lollipops. Inside the case are 8 packages with each package containing 80 lollipops. You will make 50% profit selling just one case. And shipping is free. 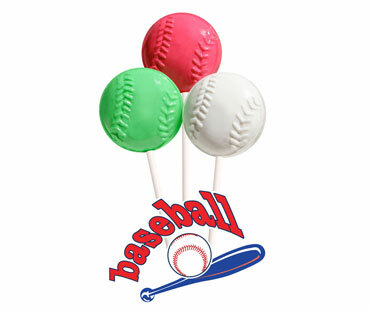 Our Baseball Lollipops sell for $.50 each. Your cost is $.25 each which means you make 50% profit on each lollipop. You get 640 lollipops in each case you purchase. Inside the cases are 8 packages each containing 80 lollipops. The minimum order is only 1 case. Shipping is FREE. 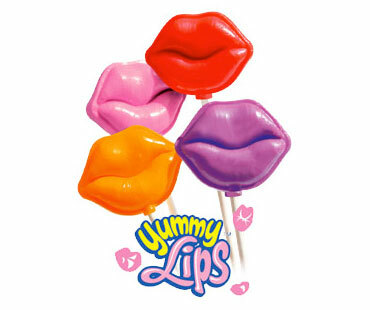 Lip Lollipops are near the top of the list when it comes to fun fundraising lollipop shapes. They sell well any time of the year and they really sell well before, during and after Valentine's Day. There's a 1 case minimum. Shipping is FREE and you will make 50% profit. Do you sell lollipops to raise money? If so you have to try our Heart fundraising lollipops. They are so much fun. They sell themselves. Heart shaped lollipops sell good any time of year but sales soar early in the year leading up to Valentine's Day when sales just go through the roof. You get a great selection of new flavors your supporters will scream for. Just take a look below at the flavor lineup. Whether you are looking for lollipops, suckers or any old fashion candy fundraiser, these may be the perfect gourmet lollipops for your group. 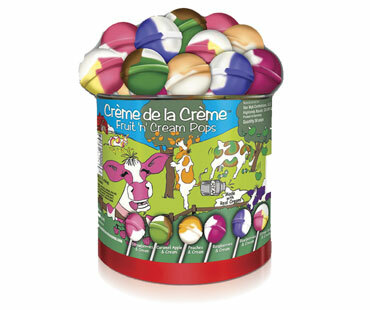 There are 576 lollipops in each Master Case of Crème de la Crème lollipops. What makes this an even better fundraising idea? 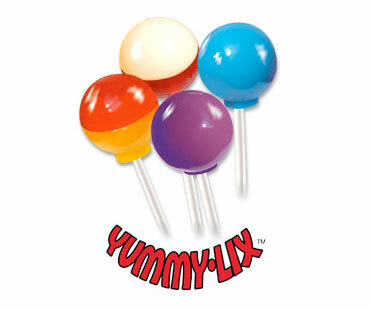 Color Xploder Fundraising Lollipops are one of our top selling lollipop fundraisers. No two lollipops are exactly the same. 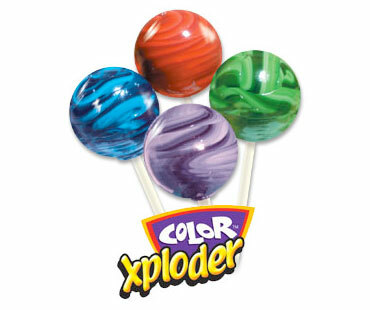 Color Xploder lollipops come in cases of 640 lollipops. Inside the case are 8 packages with each package containing 80 lollipops. The lollipops sell for $,50 each. Your cost is only $.25 each. 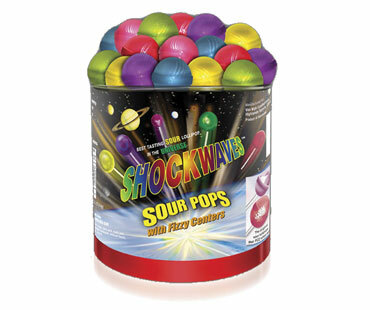 If you are selling lollipops to younger kids than you need to try our Shockwaves sour lollipop fundraiser. Kids just love them. Adults too. You get six explosive flavors in every tub. You get an assortment of Blue Raspberry Lollipops, Watermelon Lollipops, Green Apple Lollipops, Grape Lollipops, Lemon Lollipops and Cherry Lollipops. There is something here for every sour pop lover. People love lollipops for quite a few reasons not the least of which is the inexpensive price point. Most lollipops sell for less than a dollar! You purchase cases of fundraising lollipops and resell them. Typically you sell the lollipops for twice what you pay for them. There are no easier 50% profit fundraising ideas out there. We offer FREE shipping on all of our lollipop fundraising items. We also offer a super low 1 case minimum on all fundraising lollipops as well so any group can sell lollipops any time. You will find a great selection of different lollipop fundraising shapes and sizes to help you maximize your sales any time the year. Tip #1: Plan ahead! Request brochures now so you're not rushing when it's time to fundraise. Tip #2: Set goals and targets for your brochure fundraiser, and check in on them regularly. Tip #3: Promote your fundraiser with emails, facebook, and twitter. The more people involved, the more you'll raise! Fast Track Fundraising has specialized in Lollipop Fundraising for more than 10 years. You can call us toll free (888) 778-2580 and one of our fundraising specialists can walk you through all aspects of Lollipop Fundraisers . As you can see above we have picked some of the best Lollipop Fundraising Ideas choices for you to consider above. You can start any of these fundraisers directly online and get started right away.